About Us | RA Tax and Accounting, Inc. Since 1992, our accounting firm has been providing quality, personalized financial guidance to local individuals and businesses. Our expertise ranges from basic tax management and accounting services to more in-depth services such as financial statements, tax and financial planning, tax preparation and consulting. Help clients maintain financial viability in the present while taking a proactive approach to achieve future goals. Our firm is dedicated to meeting these goals with high standards of excellence and professionalism. Leif joined the RA team in November of 2016. 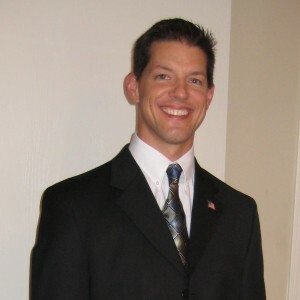 He has a Master’s Degree in Accountancy with an emphasis in Taxation from Wichita State University. Prior to working in public accounting, he worked as an onsite accounting software implementation specialist for Aptora; a construction industry enterprise software development firm. Tiffany has worked in some aspect of accounting for the last fifteen years. Prior to joining us at RA, she was the Vice-President of Technical Services and Development for Aptora, an accounting software development firm. Tiffany is a Certified QuickBooks ProAdvisor, Online and Desktop, who specializes in financial statement assemblies, payroll, and sales tax services. Sid has been associated with the accounting industry since 1975. He has years of experience in both public and private accounting. He has worked as an auditor for Ernst & Ernst (later known as Ernst & Young or EY). Sid worked as an IRS Agent, Group Manager, and IRS Instructor. Sid is a Kansas-licensed CPA. Mariza joined the RA team as an intern in February of 2018. Currently, she is working on her Bachelor’s Degree in Accounting and her IRS Enrolled Agent certification. Mariza is also a Certified QuickBooks Online ProAdvisor who specializes in account reconciliations, sales tax and payroll reporting and filing. During tax season, Mariza also assists many of our clients with their individual tax preparation needs. James Leichter is an owner of RA Tax and Accounting. He grew up in Johnson County KS and has owned several businesses throughout the years. James also serves as the President of Aptora Corporation – a leading software company that provides accounting and job costing software to the service and construction industry. James strongly believes in the importance of having a close personal relationship with key advisors such as an accounting and tax professional. On a personal note, James is a cat lover, recycling freak, and a computer nerd. He is married and has three adult children.